I Got Dem Ol’ Kozmic Adam Lambert Blues Again Mama! having difficulty getting out of bed in the morning? picking listlessly at your food? or eating quarts of ice cream at 2 a.m.? bursting into tears for no apparent reason? raking your hapless spouse over the coals whenever s/he rolls his/her eyeballs? 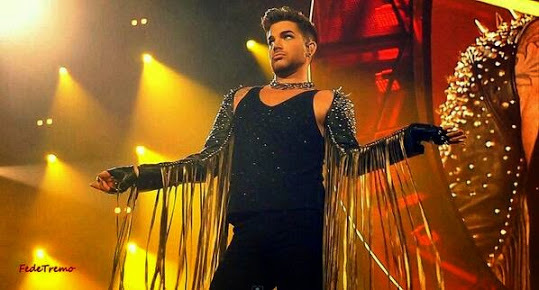 You could well be suffering from post-QAL tour syndrome. What’s the cure? Millions of Glamberts would like to know. Queenbert-inspired tatoos, nail art, t-shirts, pendants, fan initiatives and publications, billions of cool new photos of Adam and Queen to save on your laptops and cells and then line up to post to your FB and twitter. What are the craziest things you have done this summer to support Adam and …hmm frustrate your family? How are you coping with dem ol’ post-Queenbert blues? Tune in tonight for advice and support from Dr. J. Underwood and fellow sufferers. Post your anguish and share your best suggestions for overcoming PQALTS in Comments. And if nothing else works, request a song.